Conflict is a major cause and, in some cases, result of humanitarian crises. Conflict frequently overlaps with underlying social inequalities, poverty and high levels of vulnerability. Conflicts are direct threats to food security as they cause massive loss of life and therefore loss of workforce (which is particularly important, as agriculture tends to rely heavily on human labour), loss of vital livestock, and loss of land. Conflicts displace millions of people each year, often forcing them to flee with nothing and making them extremely reliant on the communities that offer them shelter and humanitarian aid. This can place unsustainable pressure on hosting communities that often face high levels of food insecurity and struggle to make ends meet . Access to and use of natural resources – like water and land for grazing or crop production – are key sources of conflict. Already in 2002, a joint study by FAO and IIASA highlighted how natural resources were shrinking . More recently, FAO alerted about the risk associated with the incremental demand for food that, together with demand from other competing uses, will place unprecedented pressure on many agricultural production systems across the world. These 'systems at risk' are facing growing competition for land and water resources and they are often constrained by unsustainable agricultural practice . The increasing world population  and its corresponding food insecurity will increase the pressure over those limited resources for several decades yet . Resources pressures will intensify as (very) limited public and financial resources for restoring degraded land and soils throughout the world become more and more scarce. Other demands from industries, investors engaged extractive activities, recreational use and the expansion of urban settlements for increasingly limited natural resources (not only land, but also water and forests) will probably have dramatic effects in terms of disputes and conflicts over the resources. Decreasing governance capacities are also a potential driver for conflicts. As Hegre and Alii report, “[a]ny reform that improves governance may be conflict-reducing, be it to the formal political institutions, bureaucratic quality, or corruption”. When people are forced to move, they abandon their physical assets such as land and property, and only carry their skills and movable assets such as livestock. Access to water becomes a critical problem, most particularly in areas where natural disasters (such as hydrological extremes) are combined with armed conflict. In such situations, traditional transhumance coping mechanisms are no longer viable. The conclusions that can be drawn are: (i) much of the land most suitable for food and feed crops is already in use or no longer available; (ii) arable lands are lost to erosion, salinity, desertification and urban spread; forests disappear and biodiversity is lost. About 40 percent of the world’s arable land is degraded to some degree and will be further impacted by climate change, expected extreme weather events and climate variability; and (iii) biofuels add to the competition for land and water. how men and women participate in society and in political life (intensification in the levels of female civic engagement, individually and through women’s organizations, in conflict and post-conflict contexts) . Gender dynamics are critical to understanding the nexus between human beings and resources. In protracted crises, different people react differently when land (and natural resources) are at stake. For many women, their autonomy depends on land – a loss of land means a loss of identity. Land provides a sense belonging to a place and to a culture. Conflict-driven evictions from land may eras a culture’s past, present and future. Despite important advances, there is still a limited understanding of the ways in which humanitarian interventions can strengthen the inclusion of women, alongside men, in peacebuilding processes. While strong assumptions prevail in the literature about the role of women in peacebuilding, rigorous evidence on the potential effects of gender equality on peacebuilding outcomes remains scarce . Land and natural resources come under greater pressure in cases of crisis and resettlement. Without a proper assessment of what land and natural resources are avaialble, how these resources aer used and governed, and by whom, it is impossible to achieve sustainable humanitarian interventions. This is especially true in protracted crisis contexts where the aim of interventions is to increase self-reliance and resilience, not only through food aid, but also through providing inputs and alternative livelihood sources. The importance of land rights in post-conflict resettlement is often not recognized early enough as an issue of concern affecting internally displaced persons (IDPs) and hosting communities. And even when it is recognized, it is often politically unfeasible to effectively address those issues in the early stages of the post -conflict period. For example, Rwanda’s civil war saw Byumba, Butare and Ruhengeni Prefectures host up to 1 million IDPs in post-conflict resettlement areas. The hosting communities perceived the IDPs as an imposition or as “external foreigners imposed on them by the Government”. Such perceptions contributed to local tensions and “flare-ups” that strained already scarce resources . IDPs reintegration in post-conflict areas remains as a considerable challenge for governments, especially after the initial emergency humanitarian assistance ends. Competition over natural resources and land in particular has been a critical cause of renewed violence, massive population movement and forcible displacements in post-conflict Uganda and Burundi. Competition for access and control of natural resources has become a source of tension and conflict in many other countries/regions, including Darfur, Liberia and Democratic Republic of Congo (DRC), especially in the last two decades . When faced with extreme crises, such as famine, communities try to assert their claims and rights over the land as part of their coping strategy. Leaving land in a situation of uncertainty causes the spatial network of access to markets and services to become lost and the interactions between groups and individuals to breakdown, thus disrupting social ties and obligations. A community’s resilience in protracted crises depends on its capacity to return to its traditional livelihood. This is particularly true in pastoral societies, where the transhumant lifestyle has suffered from the loss of open land and freedom of movement across open ranges. During crises where land and natural resources become the most important assets, competition and conflict over access and use increase in terms of number and severity. In fragile areas, this may represent the difference between maintaining stability and relapsing into conflict. The role of local institutions is critical in paving the way for the future. All societies have a variety of institutions to manage and resolve conflict. These may be informal or formal. Respected elders within a family, clan, religious group, or community may help the people in conflict solve the problem themselves, or may impose a solution that is seen to be legitimate because of the elder's wisdom and/or position. Alternatively, formal systems of courts and administrative decision-making bodies may be established to hear and decide a variety of cases. However, in the case of wars or other major social and political upheavals, the traditional dispute resolution mechanisms may not function effectively or be in existence at all. Sometimes, traditional institutions remain in place, but they lose their legitimacy. People may stop using the traditional systems, or they may try them, but when they are displeased with the outcome, they may defy it, trying to impose a more desirable outcome by force. This is why a wise diagnosis of the existing institutional arrangments is needed, in order to devise which institutions enjoy more local legitimacy and thus may be effective in infusing positive change whilst building cacpacity. However, while devising transitional solutions to increase tenure security, an inclusive dialogue should be opened to a longer-term sustainable plan. The process should deal with rights lost before and/or during the crisis, provide temporary solutions for the present, and establish measures to promote rural development and good governance. All immediate and mid-term corrective, preventive and retentive land and property-related measures designed to facilitate the conflict transformation process must be streamlined with an overall development-focused vision and policy, which is often lacking in chaotic protracted crises. Community social structures have historically been responsible and able to deal with dispute/conflict resolution . In many countries in the South, land-related government institutions de facto relied upon customary institutions to deal with these issues . The parallel process of increasing interest over land (and other natural resources) in the last decade or so (with a direct link with the international financial crisis and the rising prices of commodities) and the parallel weakening of the customary institutions, has paved the way for more numerous and more complex disputes and conflicts . The weakening of the customary institutions  is the product of several streams: first of all the rich and varying tenure arrangements historically conceived and put in place by those institutionsproved to be flexible and socially legitimate enough to deal with land conflict issues for centuries. The positive legislation (coming from both British common law and from French Napoleonian code) being more simple and less flexible had problems adapting to the diversity and flexibility of existing customary tenure arrangements. As a result, due to power asymmetries existing between colonial forces and colonized populations, the colonial forces were able to facilitate the integration of southern country resources into northern dominated markets. Legal reforms carried semantic changes (categorizing the customary institutions as “traditional” – meaning old fashioned, backward; in opposition to the “modern” institutions in charge of development) . "Modern” land administration systems are implemented through government institutions that, because of their weaknesses, are more vulernable to corruption and bribes and easily amenable to the demands of private investors . To accelerate this trend, in the absence of any international recognized and respected standards, private companies (in many different economic areas, including mining, tourism and pothers) and investors with low reputational exposure, including many companies headquartered in emerging markets, have shown little inclination to address tenure issues through a direct dialogue with local right holders . According to a recent study by Rights and Resources Initiative and Bharti Institute of Public Policy, “While official reasons given for stalled projects remain opaque, deep contestation leading to conflict on public (and private) lands must be better understood as a substantive risk to investments.” . What is seen more and more as a common feature is governments not respecting historical customary rights  and becoming agents of foreign companies and investors . Land disputes and land grabs appear more and more in post-disaster situations, as the case of Tsunami has shown  and in post-conflict areas, where displaced populations are returning . In recent years, beyond agricultural land, conflicts involving pastureland used by pastoralists and nomadic people have gained attention . Some proposed solutions should be cited: progressive legislation promoting the recognition of historical land rights was passed in Mozambique, however more needs to be done to ensure this legislation is implemented . Similar solutions to land conflicts have been proposed (but not yet agreed) in the case of Timor Leste . Land-related conflicts occur in an increasing number of countries as a result of a combination of many drivers, including the asymmetry of information about rights, ambiguities in the legal framework on several matters, and the inobservance of the law and land administration procedures due to a combination of corruption, dirigisme, capacity constraints and negligence. The UN system  is becoming more and more aware of the complexity (on the link between climate change and conflicts, see: Climate Change, Security Risks and Conflict Reduction in Africa  and magnitude of the problem, particularly in view of the link with food security) . Technical agencies are already intensifying their work on this issue (FAO is preparing a Corporate Framework on this. Un-Habitat/GLTN, with a series of partners, have launched an International Land and Conflict Coalition . Other global NGOs  and donors are also doing important work to address land conflict issues . For many people land is above all a historical-social construct, impregnated with culture, values and spirituality. Land is the object and human beings are the subject. They interact over land and, when all goes well, they create a socio-ecological contract involving the space, the people and the institutions with whom they interrelate. But because of covetousness, land can also be a source of problems and conflicts. Dealing with land in conflict is therefore above all about rebuilding that contract and reestablishing a process of trust and dialogue amongst stakeholders. Since conflicts related to land revolve essentially around human beings and their interactions, the entry point is to identify the concerned actors and engage them in dialogue. At first, certain actors may voice some skepticism about the objectives and conditions for dialogue and negotiation: their willingness to participate is mainly related to their perception and experience of the obstacles and limitations of the process, but also their interests and their fears. This also includes powerful stakeholders, large landowners or elites, who prefer to maintain the status quo and protect their privileged positions. It is thus necessary to consider what type of leverage might be used in order to stimulate their engagement in the process. The aim should be to shift from a privilege-based to a rights-based stance in which everyone (including the spoilers) is seen as an agent of change. It is important to get things right from the start and avoid shortsighted solutions that may jeopardize longer-term development. Development partners and government alike should be aware of the complexity, process and time required to achieve each of the goals envisaged, so as not to raise unrealistic expectations. Conflict erupts when land and other resources on which people depend come under threat – whether real or perceived. Securing people’s rights to land can directly contribute to alleviating this threat. Such efforts can also contribute to the state-building processes since the legitimacy of central and or local government can increase drastically in the eyes of the people when the Government takes direct responsibility for securing people’s rights to land. Customary and informal tenure governance systems often contain discriminatory practices, especially toward women and youth, and this has been regularly used as an excuse to bypass them when addressing a community during a crisis. Imperfect though existing tenure governance systems are, they achieve a local legitimacy and sustainability that artificially built systems will never rival. Understanding the tenure governance system of a given society helps identify the challenges and conflict roots, and working through what exists can provide entry points to overcome those challenges. The more complex the conflict, the more localized and specific the beginning of the solution must be. Fischer, G., van Velthuizen, H.T., Shah, M.M. and Nachtergaele, F.O. 2002. Global Agro-ecological Assessment for Agriculture in the 21st Century. IIASA Research Report. IIASA, Laenburg, Austria. Available at: http://landportal.info/library/resources/978-1-84971-326-9/state-world%E2%80%99s-land-and-water-resources-food-and-agriculture. FAO. 2011. The State of the World's Land and Water Resources for Food and Agriculture (SOLAW). Available at: http://landportal.info/library/resources/978-1-84971-326-9/state-world%E2%80%99s-land-and-water-resources-food-and-agriculture. “Almost one in seven people around the world are chronically hungry, lacking enough food to be healthy and lead active lives. This is despite the fact that enough food exists for all of the world’s people. Agricultural policies, the prices of certain food commodities such as meat and grain and economic development hugely impact food security, but demographic trends also play a role. Increasing numbers of people often drive up demand for food, which typically results in additional use of arable land and water. This is especially true in the absence of adequate food production technology and integrated programs that simultaneously address community needs for food and reproductive health. FAO projects that by 2050, population and economic growth will result in a doubling of demand for food globally” in: Population Action International. 2011. Why Population matters to Food Security. Available at: http://landportal.info/library/resources/pai-1293/why-population-plays-role-food-security. For a statistical analysis on good governance and the reduction of risk of conflicts, see: Hegre, H. and Mokleiv Nygard H. 2012. Governance and Conflict Relapse. Available at: http://landportal.info/library/resources/governance-and-conflict-relapse. For additional additional info see: United States Institute of Peace. (no date). Governance, Corruption, and Conflict. Available at: http://landportal.info/library/resources/governance-corruption-and-conflict. Justino, P. 2015. Food Security, Peacebuilding and Gender Equality: Conceptual Framework and Future Directions. Unpublished report commissioned by Institute of Development Studies for FAO. Achieng, S., Solomon, A., Cenerini, C., Grazi, A. 2014. How to deal with people in post-displacement – reintegration: the Welcoming Capacity Approach. FAO. Available at: http://landportal.info/library/resources/how-deal-people-post-displacement-reintegration-welcoming-capacity-approach. FAO.2016. The Green Negotiated Territorial Development (GreeNTD) in the Democratic Republic of the Congo - Promoting a peaceful and lasting resolution to land conflicts in a protracted crisis context through a fair and environmentally sensitive approach. FAO. Available at: http://landportal.info/library/resources/green-negotiated-territorial-development-greentd-democratic-republic-congo. "Dispute" commonly means: to argue, debate about (something); to struggle against; resist. Rights and Resources Initiative (RRI) and Tata Institute of Social Sciences. 2016. Land Disputes and Stalled Investments in India. Available at: https://landportal.org/library/resources/land-disputes-and-stalled-investments-india; RECOFTC The Center for People and Forests. The struggle over Asia's forests: an overview of forest conflict and potential implications for REDD+. Available at: https://recoftc.wordpress.com/2012/04/02/the-struggle-over-asias-forests-an-overview-of-forest-conflict-and-potential-implications-for-redd/. Kass, G.N. 2006. The Role of Culture and Traditional Institutions in Peace and Conflict: Gada System of Conflict Prevention and Resolution among the Oromo-Borana. University of Osolo Reseearch Archive. Available at: https://www.duo.uio.no/handle/10852/32660; Elubaju, A.S. 2016. The Role of Traditional Institution in Managing Ife-Modakeke Conflict. International Journal of Arts and Humanities, Vol. 5(2), S/N/17, Bahir Dar- Ethiopia. Available at: https://landportal.org/library/resources/role-traditional-institution-managing-ife-modakeke-conflict; Truth and Reconciliation Commission of Liberia. 2013. The Role of Religious and Traditional Institutions during Conflict and in Peacebuilding. Journal of Religion, Conflict and Peace, Vol. 5, Issue 1 and 2 Fall 2011-Spring 2012. Available at: https://landportal.org/library/resources/role-religious-and-traditional-institutions-during-conflict-and-peacebuilding. Katawazi, N. 2013. Land disputes and governance in Afghanistan. Transconflict. Available at: http://landportal.info/library/resources/land-disputes-and-governance-afghanistan. RRI and TMP Systems. 2016. Tenure and Investment in Africa: Synthesis Report. Available at: http://landportal.info/library/resources/tenure-and-investment-africa. International Online Training Program on Intractable Conflict. Erosion of Traditional Conflict Management Institutions. Available at: http://www.colorado.edu/conflict/peace/problem/nocminst.htm. Korf, B. and Lavadenz, I. 2007. Sri Lanka: Land and Conflict in the North and East. Policy Note. World Bank, Washington, D.C. Available at: http://landportal.info/library/resources/oaiopenknowledgeworldbankorg1098612721/sri-lanka-land-and-conflict-north-and-east. Pastoralists Indigenous Non Governmental Organization's Forum (PINGO's Forum). 2013. The Fact Finding Mission Report on The Land Conflict and Boundaries in Rufiji District: The Predicaments of Pastoralists Evicted to Rufiji District 15-21, April 2013. Available at: http://landportal.info/library/resources/fact-finding-mission-report-land-conflict-and-boundaries-rufiji-district. RRI and TMP Systems. 2016. Rights and Resources Initiative (RRI) and Tata Institute of Social Sciences. 2016. Korf, B. and Lavadenz, I. 2007.
 International Refugee Rights Initiative (IRRI). 2010. Who Belongs Where? 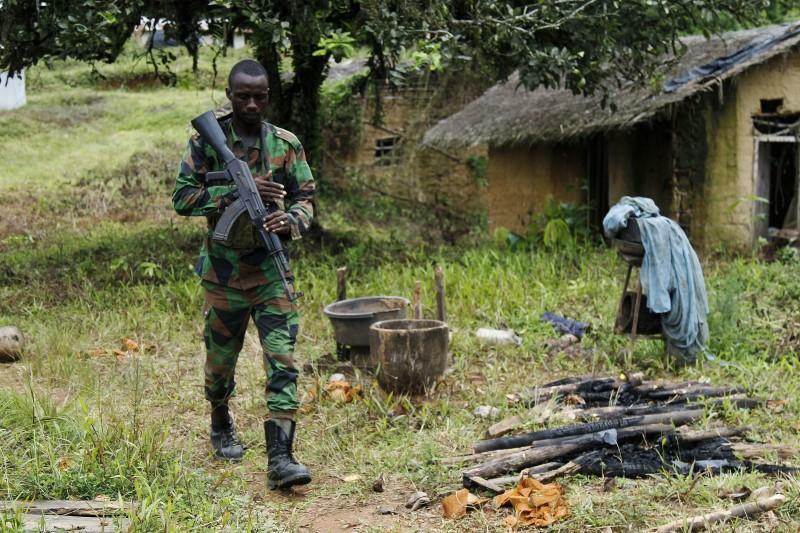 Conflict, Displacement, Land and Identity in North Kivu, Democratic Republic of Congo. Great Lakes Region- Working Paper 3. Available at: https://landportal.org/library/resources/who-belongs-where-conflict-displacement-land-and-identity-north-kivu-democratic; Achieng, S., Solomon, A., Cenerini, C., Grazi, A. 2014. Cabral, L. and Norfolk, S. 2016. Inclusive Land Governance in Mozamibque: Good Law, Bad Politics? IDS Working Paper Volume 2016 No.478. Available at: https://landportal.org/library/resources/1875-0281/land-access-and-livelihoods-post-conflict-timor-leste-no-magic-bullets. Batterbury, S.P.J.m Palmer, L. R., Reuter, Th. R., do Amaral de Carvalho, D., Kehi, B. and Cullen, A. 2015. Land access and livelihoods in post-conflict Timor-Leste: no magic bullets. International Journal of the Commons Vol. 9, no 2 September 2015, pp. 619–647. Available at: https://landportal.org/library/resources/1875-0281/land-access-and-livelihoods-post-conflict-timor-leste-no-magic-bullets​. Norwegian Refugee Council. 2012. Conflict and Food Security in the Liberian-Ivoirian Border Region. Available at: https://landportal.org/library/resources/978-82-7411-229-2/land-conflict-and-food-security-liberian-ivoirian-border-region; FAO. 202. Conflict and Food Insecurity. Available at: https://landportal.org/library/resources/conflict-and-food-insecurity. Global Land Tool Network. 2016. GLTN convenes the Land and Conflict Coalition Forum in Washington, D.C. Available at: http://www.gltn.net/index.php/media-centre/gltn-news/682-gltn-convenes-the-land-and-conflict-coalition-forum-in-washington-d-c.
 Sagener, N. 2015. Oxfam: Land disputes escalating poverty and conflict. EURACTIV. Available at: http://www.euractiv.com/section/agriculture-food/news/oxfam-mangelnder-schutz-von-landrechten-foerdert-weltweit-konflikte/. United Nations. 2012. Toolkit and Guidance for Preventing and Managing Land and Natural Resources Conflict: Land and Conflict. Availabe at: https://landportal.org/library/resources/toolkit-and-guidance-preventing-and-managing-land-and-natural-resources-conflict. This indicator is the headcount of pepole affected by land conflicts in India, by the reported starting year of the conflict.